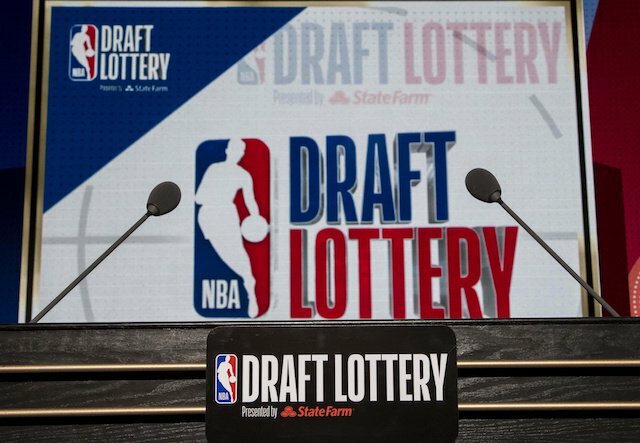 The results of countless prayers have been tallied, as the draft order for the upcoming NBA draft was revealed on May 15th. It appears the “lucky underwear” that Josh Jackson was sporting paid off big, as the Suns secured their very first number 1 overall pick in franchise history. So who were the big winners and losers? The Sacramento Kings were positioned to select at No. 7, but with a 6% chance, defied the odds and ended up with the No. 2 pick. Let the Doncic vs Ayton debate commence. Or, since we are talking about the Kings, can we rule out the possibility of incompetence? Below, I will speculate on how the first seven picks may play out in the upcoming draft. Next week, I will look at the final seven. ESPN has the Suns selecting De’Andre Ayton, stating numerous times that he is a lock. I get it. The need for a center and possibly moving on from Marquese Chriss/Tyson Chandler is an enticing proposition. Plus, he played his college ball locally in Arizona. But there is a big factor that ESPN has ignored: the hiring of former Utah Jazz assistant and Serbian national coach Igor Kokoskov, who led Serbia to the prestigious Eurobasket title with Luka Doncic and also named his son after the impressive maestro. Now I am not saying it is a gimme that the Suns draft Doncic, but given the youth and inexperience on the Suns, and the positional flexibility that Doncic has to offer, it deserves serious consideration for the Suns to select a player with the versatility, ability to run the offense, and handle the ball to get the best out of the young personnel already in the desert. Perception has Doncic being taken here on the back of Ayton being taken by the Suns, and you can’t fault the logic. Rumors had it that when the Kings acquired the second pick in the lottery, many were joking that Vlade Divac would make a trade with the Suns to guarantee the services of his fellow Serbian, but if Doncic is gone, it makes much more sense for the Kings to take Marvin Bagley III over Ayton. Bagley fits better with Willie Cauley-Stein. He is more fluid offensively, would fit the uptempo style the Kings want to play at, spaces the floor better, and both he and WCS would be able to to switch everything on defense. The ideal scenario, though, would be to find a team that covets Ayton and move down while acquiring another high draft pick. With that said, this is the Kings front office we are speaking of, so let’s not get ahead of ourselves, but the Kings are in a good position and, given the future cap space they possess, are in an enviable position come draft day. For the record, I prefer Michael Porter Jr to that of Bagley in my own personal rankings, but given no first round pick next year and having gambled on the health of Harry Giles last year, the safe play may be the right play. Perception has Ayton and Doncic off the board at this point, with Bagley and Jaren Jackson Jr. potentially next in line to be taken. It’s been rumored that Dennis Schroeder may be on his way out of Atlanta and has lost the confidence of the organization. If that is the case, then Trae Young is my pick here. Much has been documented about Young fading down the stretch, but let us not forget that a freshman with a usage rate of 40 is likely to break down when double teamed the whole time. What Trae brings is devastating shooting range, a highly under rated passing game, and can be the spark plug for a Hawks offense in need of one. Trae would also be surrounded by wings that play good defense, ala Taurean Prince to help take the focus on his deficiencies on that side of the ball. If Ayton is off the board, then Young is my pick here. This is where perception starts to get murky, and although the Memphis Grizzlies were lottery losers, they could have found the situation a whole lot worse. If posed with the decision of selecting either Michael Porter Jr or Jaren Jackson Jr, then there are a lot worse drafts to hold the number 4 pick. MPJ would offer the rebuilding Grizzlies a future first option scorer, and if he can stay healthy, THEN HE COULD BE THE STEAL OF THE DRAFT. While he has stated numerous times that he is 100%, keep in mind that he missed most of his only season at Missouri due to undergoing back surgery. With that said, before the injury, MPJ was a near consensus number 1 pick. If MPJ is off the board, or the Grizzlies have concerns about MPJ’s health, then look no further than Jaren Jackson Jr. Often misused at Michigan State, JJJ has one of the most fantasy-friendly skill sets. He’s the most naturally gifted shot blocker, an underrated distributor, and has 3-point range. He may require more patience developing, though, another consideration that the Grizzlies will have to take into consideration. With the Magic now moving on from Elfrid Payton, it appears the path has been set for the Magic to draft the premier point guard of the class, Trae Young. Positional need aside, the Magic are desperate for an offensive juggernaut with the ability to handle the ball and Young fits the bill here, especially after using last year’s premium draft pick on the defensive minded Jonathan Isaac. I do not trust the Magic when it comes to decision making (and believe me, I do not possess a Josh Reddick type arm) so don’t be surprised if they take an alternative route and create a logjam at the forward position and more rotational headaches. When we talk about Lottery draft losers, there might not be a better candidate than the Bulls. If not for losing a coin toss back in April, the Bulls very well may have ended with the number 2 pick, and no doubt one step closer to their rebuilding goal. Instead, they see themselves with the number 7 pick and the 22nd courtesy of the Pelicans via the Mirotic trade, a pick they no doubt anticipated higher at the time. The name that seems to be firmly leaving the mouths of Windy City inhabitants is Mo Bamba, the beastly center (set combine records for both standing reach and wingspan) who many see as a good complement to the stretch four game of Lauri Markennan. Duke freshman Wendell Carter Jr, who in recent weeks of studying more and more film has impressed me immensely, especially with his footwork, has also been mentioned, but the pick for me here is Miles Bridges. People see this as a bit of a reach, but I am a firm believer in Bridges, as he has two-way potential (despite periods of shooting woes in college) and believe the more spaced out game of the NBA plays into the hands of the former Spartan beautifully. Given the Bulls current roster, I am taking the skill set of Bridges (himself considered a top 10 prospect last year by myself) to edge closer to the direction that the Bulls need to take, and then net that big man with the 22 pick later in the draft (Omari Spellman/Jontay Porter maybe?). Join me next time for Part 2, where I will look at the lottery options from picks 8-14. For more NBA draft prospect talk you can find me on twitter a @storytelling41. Great in-depth article as always Craig. I’m pretty hyped for Jaren Jackson fantasywise, especially if he lands in a team willing to give him meaningful minutes. One thing worth mentioning is that both Doncic and Kokoskov led Slovenia and not Serbia to the Eurobasket title, which is even more impressive as Slovenia was not considered one of the favorites. Finally, you forgot the no5 pick that goes to the Mavericks. A great fit for them would be Bamba as I don’t think coach Carlisle really views Nerlens Noel as their center of the future. Lol good spot on the country slip, abd my family heritage is from former yugoslavia too. Yeah I had that pointed out to me about missing tge mavs pick, abd agree it’s a likely landing spot for Bamba, and if not Bamba then whichever big falls to them at that spot between Bamba, JJJ or bagley. Without knowing where each player will go, who would you rank as the most NBA ready prospects to produce next fantasy season? I’ve got the 6th, 7th and 9th picks in our rookie draft and I’m hoping that MPJ, Trae and Carter Jr fall my way. Though I may need to re-think Bridges. How would you describe the drop off in talent from the consensus top 2 picks (Ayton/Doncic) versus players in the 3 to 6 range? In other words, if you have a top 2 pick, is it worth considering trading down for additional picks or an established veteran or is Ayton/Doncic transcendent talents?